This Belleek clock is the Cashel design; it is named after the Rock of Cashel in Tipperary, Ireland. The Belleek Cashel clock is crafted of fine china that is enhanced with hand-painted shamrocks along with gold accenting and an embossed basket weave motif. 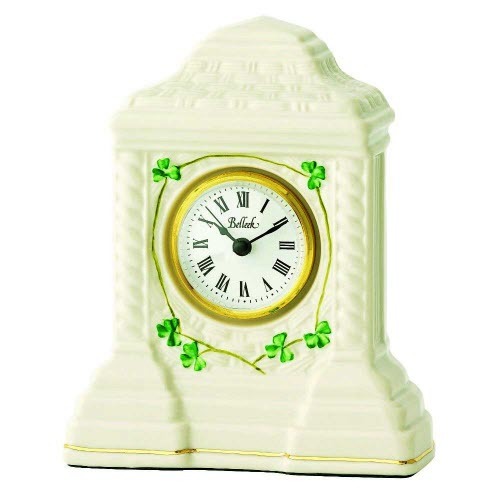 The Irish mantel clock measures 7 1/2" tall and it is handmade and hand-painted in Belleek, Ireland.